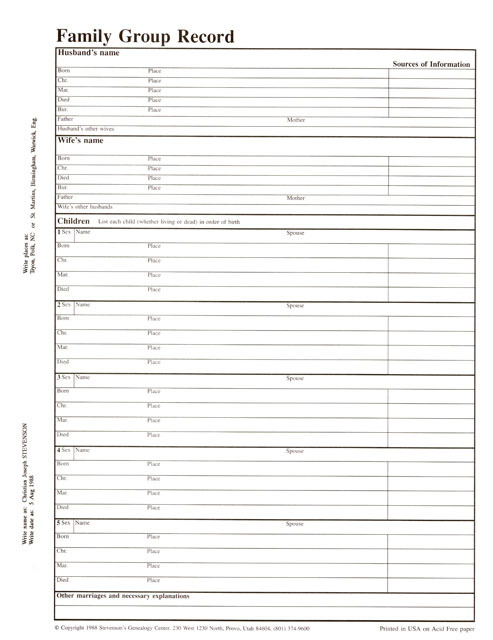 Family Group Sheet, back, FREE – Stevenson Genealogy & Copy Center L.L.C. This is the back side of the chart. Add this to your cart to download a FREE PDF file of this chart. 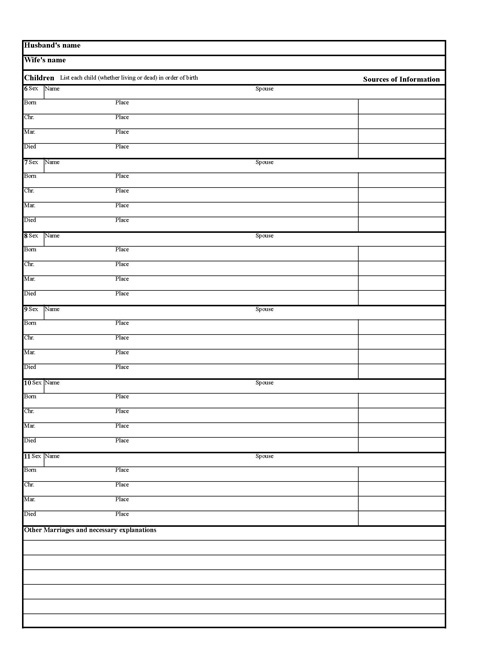 You can freely make as many copies as you would like. It is copyright free. Here is a link to the Front Side.